Contained within a single field, and shielded from the muggle world by trees on all sides, there's enough good stuff on offer at Wood for everyone to weave their own unique story across the festival weekend. Organised by the same people who started Truck festival, this newer festival celebrating music and nature returns to the surroundings of Braziers Park, Oxfordshire from Friday 17th until Sunday 19th May 2019. Acts include Tunng, Martin Harley, Belshazzar's Feast, Midnight Skyracer, Nick Cope and Friends, Jali Fily Cisskho's Coute Diomboulou Band, Morganway, AK Patterson, Gwenifer Raymond, Frankie Lee, Trevor Moss & Hannah-Lou, and more. Wood runs entirely on renewable energy and aims to highlight green issues and hopefully promote an ecologically friendly lifestyle, with things like composting toilets, showers heated by wood-burning stove, a people powered fairground, and a solar-powered stage and dancing into the night in a bicycle powered 'discotheque'.  The festival offers opportunities for everyone (from children to grandparents!) to participate, with workshops covering everything from singing, woodcraft, yoga, knitting, story-telling, campfire sing-alongs, a kids tent and fancy dress parade. These include Holistic Hand Massage / An Introduction to Shamanic Journeying / Teenage Mindfulness / Expressive Drawing / Wild Soul: Finding Your Medicine in Nature / Hedgehog Crafts / Poi: A Maori Inspired Circus Skill / Feel Good! Dance, Fitness and Wellbeing Workshop / Skateboard Building, Repair and Maintenance / What is Feminism? Workshop / Solar Energy / Wild Kids: Take a Walk on the Wild Side, A Creative Adventure / Woodland Den Building. Wood even has its own organic café serving locally-sourced food and it's own pub, The Hippy Arms selling locally-produced lager, ale and cider.